The Sharks certainly had an occasion to rise to, as they faced the Flames for the first time since getting smacked down in a physical and emotional loss on New Year’s Eve. San Jose responded in a big way, getting contributions on offense, defense, and between the pipes to defeat the Flames 5-2 and move within two points of first place in the Pacific Division standings. Of course, scoring three goals in 85 seconds to overcome a 1-0 deficit early in the game was a huge help. Kane got the offense started with a nice wrister passed netminder David Rittich. That opened up the floodgates, leading to Brent Burns’ nifty short-handed goal and Tomas Hertl’s tip-in of fellow countryman Radim Simek’s shot. Suddenly, San Jose was up 3-1 going into the first intermission despite Calgary’s constant pushback. But San Jose’s defensive front deserves a lot of credit as well, particularly when it came to Martin Jones. The starting netminder put on what was probably his best performance of the season, stopping 36 of 38 shots fired at him. He was especially strong on the penalty kill — which got plenty of work on Thursday night as the Sharks went to the sin bin seven times. Jones had two huge saves on Flames’ top scorer Johnny Gaudreau that easily could have put the momentum back in Calgary’s favor, including one on a penalty kill late in the third frame. You really have to hand it to the Sharks for keeping their emotions in check as a group. 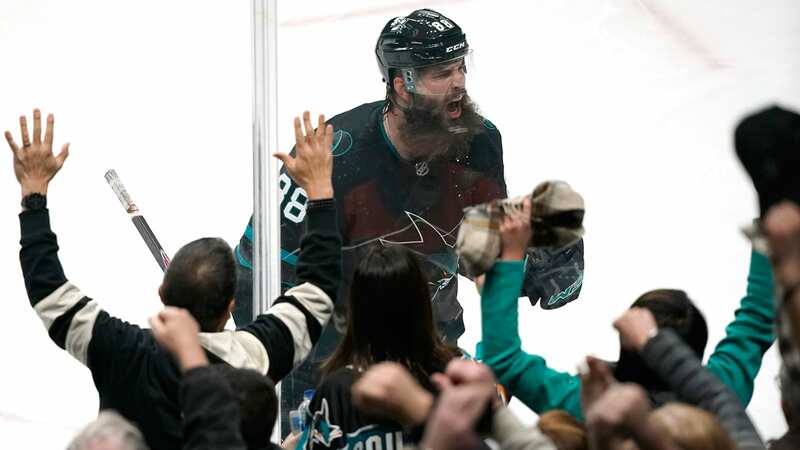 Thursday’s game was expected to turn into a fighting frenzy given the poor terms San Jose and Calgary left things on after their last meeting. It definitely has to give the Sharks an extra boost of confidence looking at their wins against both the Flames on Thursday and the Winnipeg Jets on Tuesday evening. Through two wins against tough teams, they’ve gotten contributions from up and down the lineup.